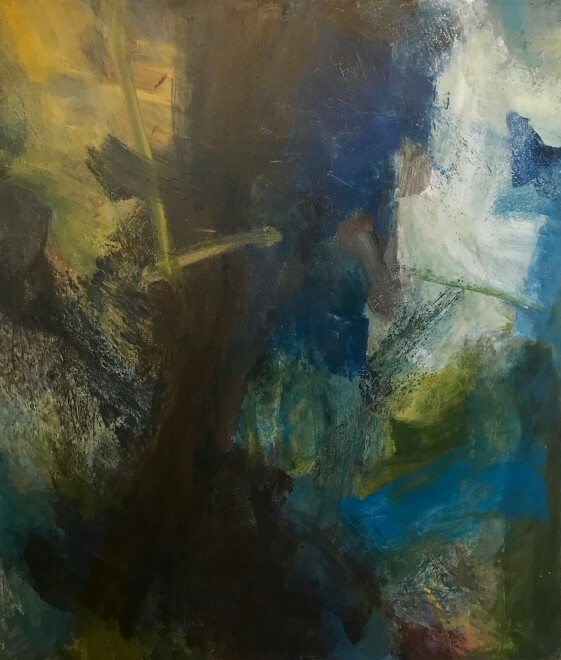 After studying in New York with Hans Hofmann in the 1950s, Hubbard moved to Dorset and found himself inspired by the landscape of his new home. He began to consciously work in isolation and turn again to the use of subject, or more, away from the total abstraction of the Abstract Expressionist that he left in New York. 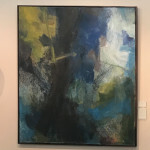 Hubbard created his own individual abstracted ‘impressionistic’ paintings, atmospheric works with a strong sense of place. 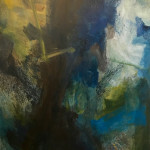 Combining a naturalistic palette with the action painting techniques that were popular with his American contemporaries, Hubbard created tempestuous images with a taut energy. Wind, rain, climate and the rock formations of the changing coastal landscape he called home are present in character if not representation. Hubbard found acclaim in his life, showing with the New Art Centre and Marlborough Fine Art in the UK and others internationally. 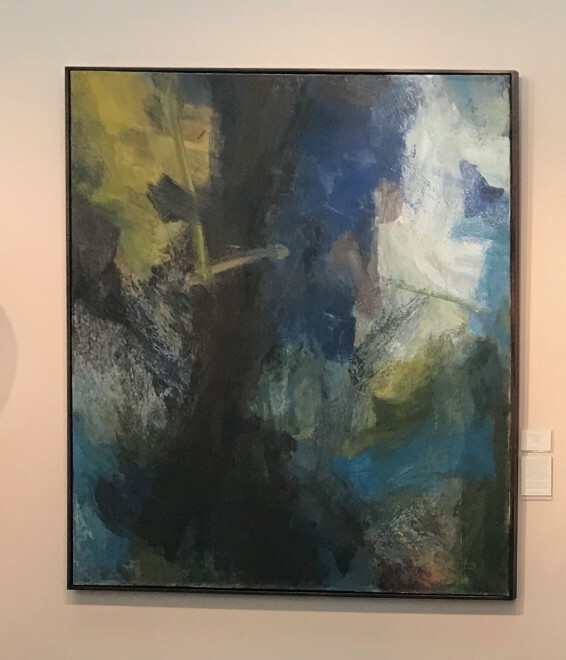 This painting is from a small group of works discovered in the Artist’s studio after his death, represented by Jenna Burlingham Fine Art.